iPhone 6 to be released on September 19th? | What Hi-Fi? iPhone 6 to be released on September 19th? Apple's new iPhone 6 could be hitting shelves mid-September – that's according to Chinese web portal Tencent, which reignited rumours on a September 19th launch first mooted by Deutsche Telekom. The rumour certainly has some validity, as Apple traditionally release new products on a Friday, and it would be a year since the iPhone 5S and iPhone 5C were released on September 20th 2013. In addition to the launch date, the Chinese source also mentions prices of the iPhone 6 – stating the 32GB model will cost 5,288 yuan (£500) and the 64GB model 6,288 yuan (£593). 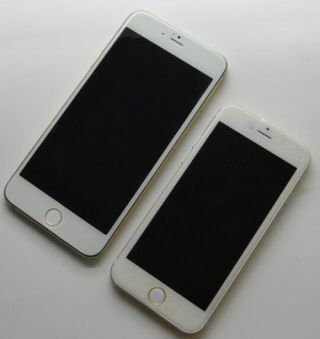 However, it didn't confirm there would two different sizes of the iPhone 6 that previously leaked images appeared to show. It was left to another Chinese website, Wei Feng, to say the new iPhone will almost certainly come in 4.7-inch and 5.5-inch versions. Wei Feng said the larger model will get 128GB of onboard storage and Optical Image Stabilisation camera technology. Meanwhile, the 4.7-inch model will come with 32GB or 64GB of storage; there'll be no 16GB option. If September 19th does prove to be the iPhone 6's release date, we can expect the on-stage unveiling to take place approximately 10 days before, so it could be worth noting September 9th in your calendars.